GiGe video camera. 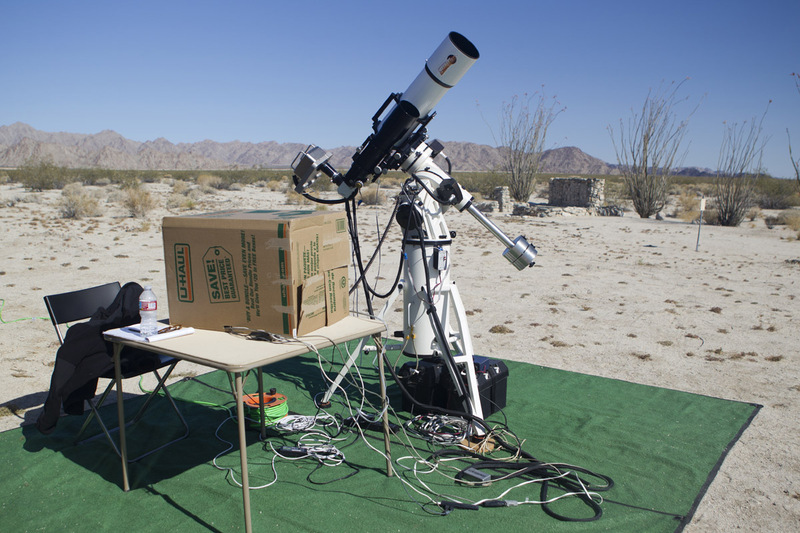 The cardboard box served as a sunshade for my laptop computer, allowing me to better view the monitor in the sunny conditions. trained there during the epic struggle to liberate the world from brutal totalitarian regimes. have been mostly reclaimed by the desert. 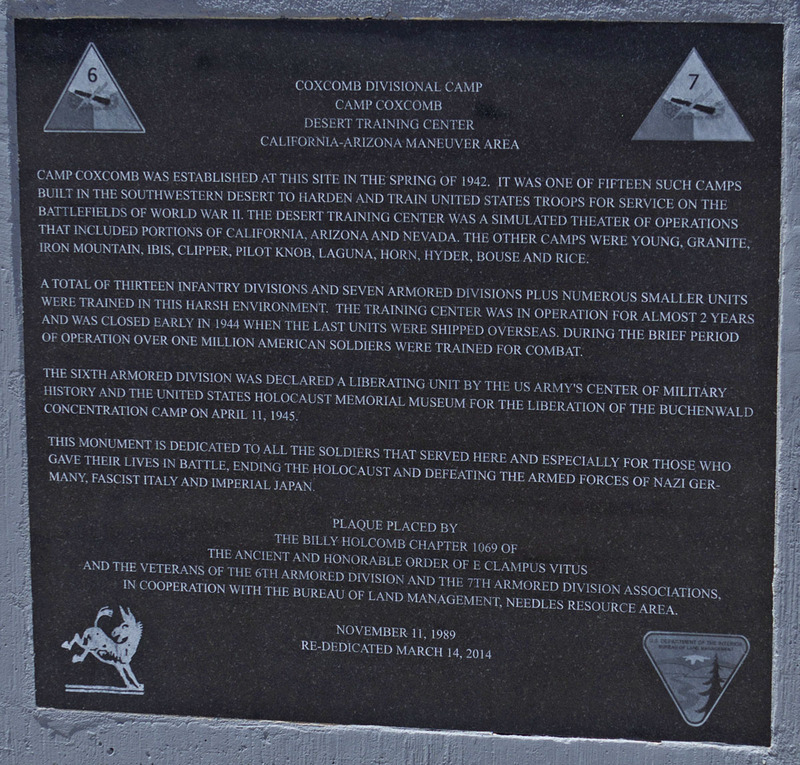 Wording on the E Clampus Vitus plaque at Camp Coxcomb. In January 1942, the success of the German Army in North Africa led the U.S. War Department to focus training in areas with a desert terrain and environment. 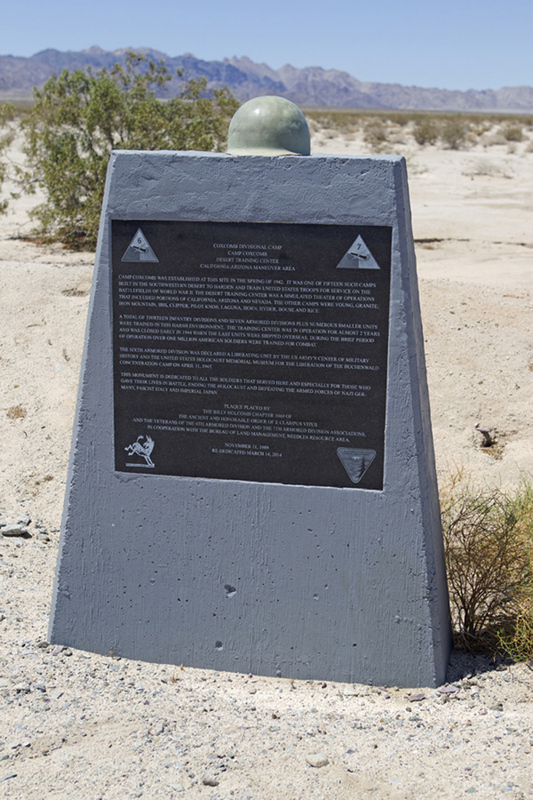 the U.S. Close to one million troops were trained in this area between 1942 and 1944.
independently confirmed, it is assumed that these acres were acquired from the State of California through Revocable Permit No. 12 on 24 March 1942. Hence, a total of 11,520 acres were acquired for Camp Coxcomb. 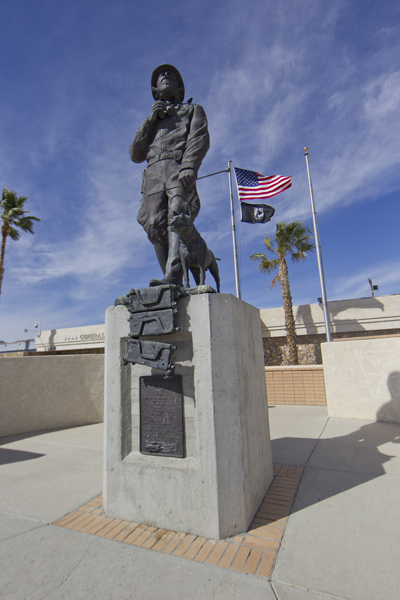 The Camp was established during the Spring of 1942 and subsequently occupied by the 7th Armored Division, as well as the 93rd and 95th Infantry Divisions. 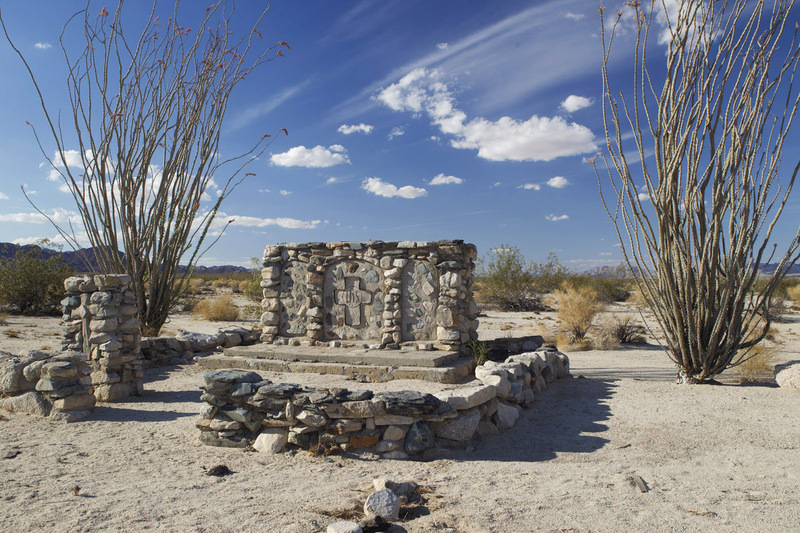 contour map of the Desert Training Center and a stone altar located in a former chapel area. similar to those which might be encountered overseas. to suspend operation of the CAMA. The entire CAMA was declared surplus on 30 March 1944 and the Army formally announced that the CAMA was to be closed by 1 May 1944.
were relinquished on 2 September 1949. The permit with the State of California for the use of 960 acres was terminated on 11 November 1944.